How to Choose the Right Menu Style for Your Wedding: Plated, Buffet or Cocktail? Food and drink plays a key role in in the atmosphere of any social celebration, but particularly when it comes to one of the most important days of your entire life – your wedding reception! Your wedding menu will likely be one of the stand-out features of your day, and something your guests will remember for years to come. After all, is there anything better than sharing delicious food and wine while making memories with loved ones? With that being said, choosing the right menu style for your wedding reception can be a little tricky with so many different options available. From plated meals to wedding buffets, share-style food and roaming canapes, it’s important to consider which wedding catering package is going to be the best fit to suit your budget and vision for the day. Here at Coolibah Downs on the Gold Coast, we have a range of versatile wedding menu options available, with each one suited for different requirements. Keep reading as we share our top wedding menu tips and weigh up the benefits of each option, to help you choose the perfect menu style for your own wedding reception! What it is: A plated wedding menu refers to each of your wedding guests being served individual, plated meals. The benefits: If you’re planning a more formal, elegant or intimate sit-down dinner, a plated wedding menu is definitely a great fit! Plated meals have a serious “wow” factor, and are sure to leave a lasting impression on your guests. Our catering packages for a plated menu gives you the choice of 5 delicious meal options, to suit your own tastes and preferences. A plated wedding menu also gives you total control over portion sizes, and here at Coolibah Downs, servings are definitely generous – you can ensure your guests will be well-fed and comfortable with a plated menu! Remember that a plated meal requires your guests to be seated for the duration of dinner. So if you’re planning a more informal reception with lots of standing and mingling, this is something to keep in mind. "The food was amazing, everyone kept raving on about it. 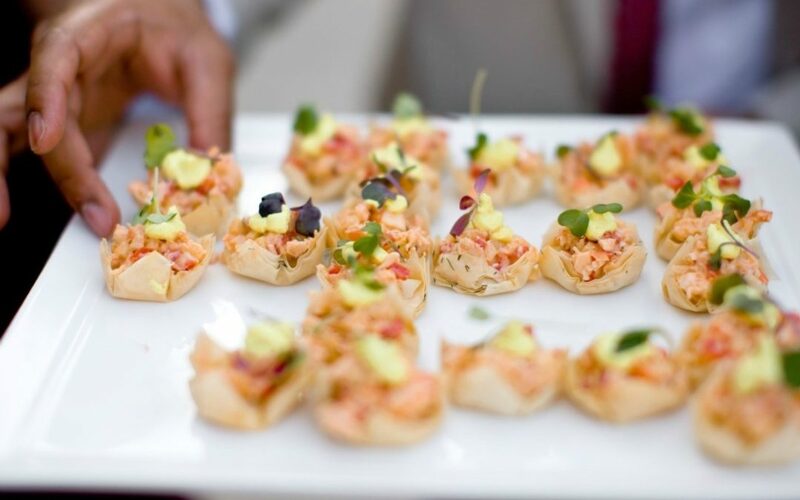 After the ceremony, caterers served guests with salmon and dill tarts, Caramelized onion and goats cheese tarts, chorizo and parmesan bites and Duck spring rolls. For mains, we had an alternate drop of chicken breast stuffed with sundried tomatoes and Brie served with Thyme and Parmesan potato dauphinoise with Sauvignon Blanc and seeded mustard sauce OR Beef Rib fillet with Cab Sav Jus Served on sweet potato gnocchi." What it is: A shared wedding menu is one of the more modern dining options, with feasting style plates for your guests to help themselves across the table. The benefits: If you’re planning a more informal celebration, a shared wedding menu would be a perfect fit! This menu style allows guests to control their portion sizes and choose what they’d like to eat from the options available. A shared wedding menu is also a great conversation starter, and encourages mingling and chatting amongst your guests for a fun, relaxed atmosphere. Keep in mind that shared plates will take up some space on your dining tables. So if you have some extravagant centrepieces in mind, you’ll want to consider whether a shared menu is going to work on a more practical note. What it is: A buffet wedding menu is another self-service menu style, but set up separately with a dedicated buffet station rather than being served across guest tables. The benefits: A buffet wedding menu is another great option for more relaxed, low-key wedding receptions that don’t require a high level of formalities. This menu style gives your guests plenty of food options, making it easier to cater for dietary requirements. A buffet also allows guests to control their portion sizes (with hungry guests being able to go back for seconds! ), and gives them an opportunity to walk around and mingle with others. Remember, a buffet station does take up some extra space on your floor plan, so this is something to think about if you’re planning a marquee reception. Keep in mind that a buffet is one of the most informal menu options, so consider if this will align with the vision you have for your day, too. What it is: A cocktail wedding menu refers to roaming canapes and lighter food options being served periodically, rather than an individual sit-down meal. The benefits: If you’re planning a relaxed cocktail or stand-up wedding, this menu will be the best fit for you. A cocktail menu gives your guests plenty of delicious options to sample, and allows them to move freely around the space and socialise with other guests. A cocktail wedding also gives you creative freedom when it comes to styling your reception, without having to consider dining tables and chairs. You can deck out your reception with cocktail furniture like high bars and stools, lounge settings, ottomans and more. Remember that this menu style is informal, and your guests won’t have a dedicated “seat” to eat their meal, so it might not be the best suited for a traditional or formal wedding celebration. With a selection of different wedding catering packages available at our Gold Coast Hinterland venue, we’re here to help you create an amazing food and beverage experience for your reception. 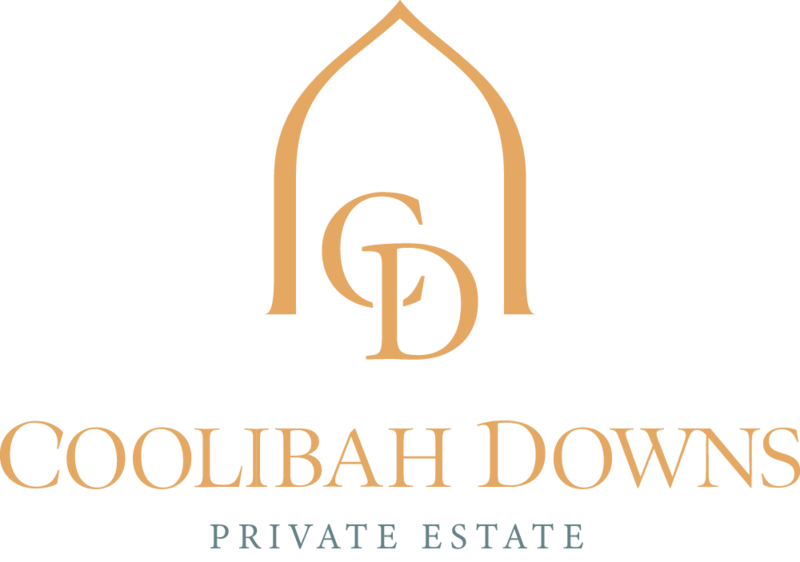 If you’d like to sample the catering options available here at Coolibah Downs, we offer tastings on-site for couples. Get in touch with our team to book a tasting appointment at our venue, or download a copy of our latest wedding packages to get started!